Last Friday was Provider Appreciation Day. I’m a few days late, but happy belated Provider Appreciation Day. 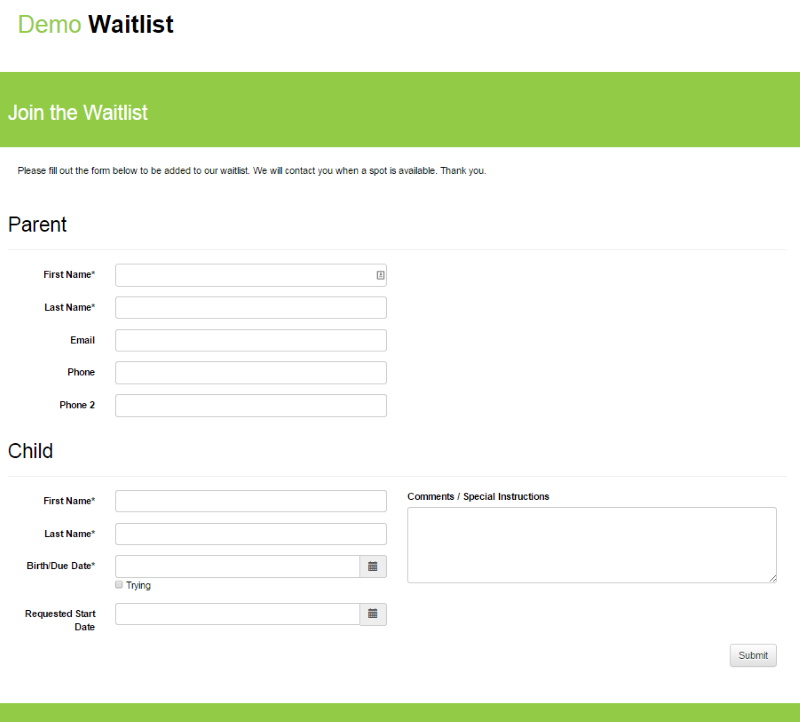 Treat yourself to some sanity and give our daycare waitinglist software a try. I’m sure you’ll appreciate it as much as we all appreciate of you. 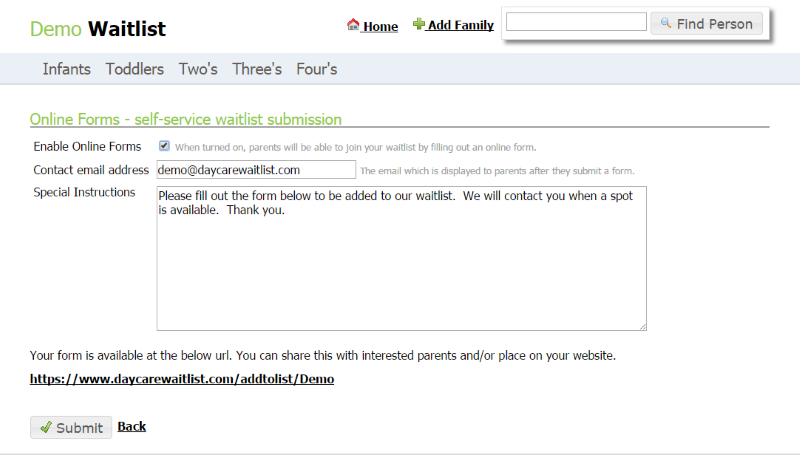 A new feature was recently released that allows parents to join your waitlist by filling out a simple online form. The self-service form submissions will feed directly into your waitlist. Below is a quick description of the feature and how to turn it on. This form is mobile friendly and will re-size properly on a mobile phone or tablet. 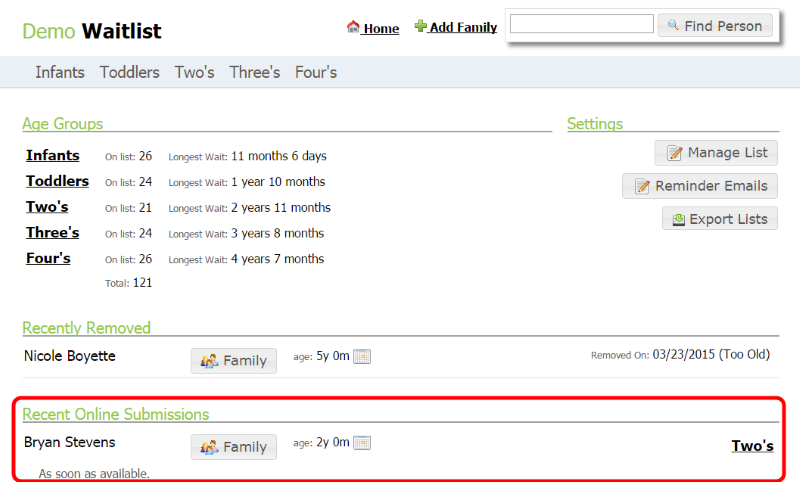 After submission the child is automatically placed in the proper age group. If any changes are needed like priority, or additional notes, you can enter them from here, or from any of the existing pages within your waitlist. Then, click “Enable Online Forms”, fill out the remaining data, and click submit. 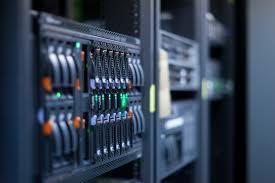 After saving, you will be provided a link to send to prospective parents. 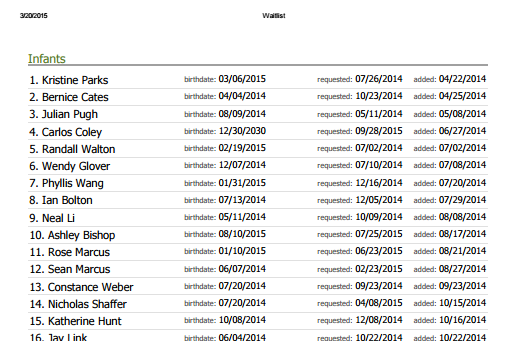 We recently updated the main waitlist pages to provide a better format for printing. 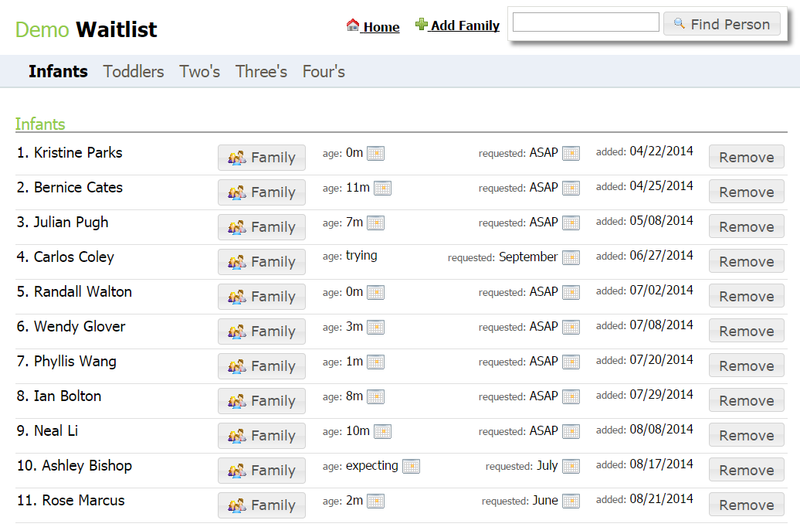 On any of your waitlist pages for an age group, just choose “print” from your browser. From there you can select your printer, or save to PDF and other formats if you have the correct print drivers installed.